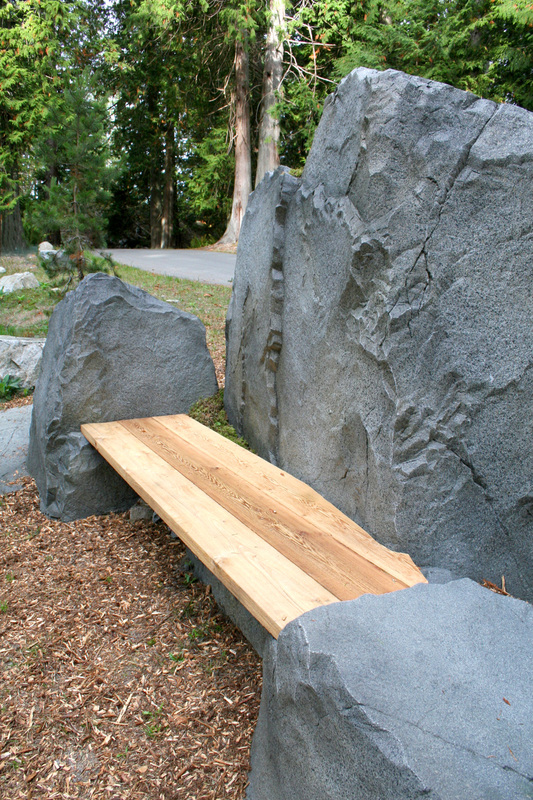 For over fifteen years Wavestone Sculpture has been producing some of the most realistic hand sculpted rock retaining walls in the industry. Wavestone provides international service but we also serve our local community right here on Bowen Island BC and to our neighbors on the North Shore. Living on Bowen over the past ten years has been an incredible adventure. We moved to Bowen to live closer with nature and there's more than enough rock to study for our work! Concrete rock retaining walls are at the higher end of costs when comparing to other materials such as stacked rock or wood. The advantage of our process is maintaining the natural beauty of your property with minimal disturbance to the landscape. Concrete is extremely durable and our product will be a one time investment that will last the lifetime of your property. Our goal for every project is to produce the most realistic concrete rock in the industry. When we're finished no one should know we were even there. Wavestone has produced work for notable local clients such as the Vancouver Aquarium, Vancouver Science World and YVR Airport. We're not the cheapest but we're the best and you want the best when it comes to building a permanent structure that will absolutely have an influence on your property value. Hire Local, Hire the Best, Hire Wavestone.